Thank you for taking the time to visit the Bighorn Buck Adventures website, At the Bighorn Buck Adventures ranch we offer trophy hunts for elk, whitetail deer , black bear and free range whitetail hunts. Our preserve is located in northern Saskatchewan with over seven miles of perimeter fence, we are proud to say it is one of the biggest in Sask, the Preserve consists of rolling hills,meadows, massive spruce and poplar trees. The hunts are secluded in the natural forest where our Trophy Elk and Trophy Whitetail roam at there leisure in there natural habitat. 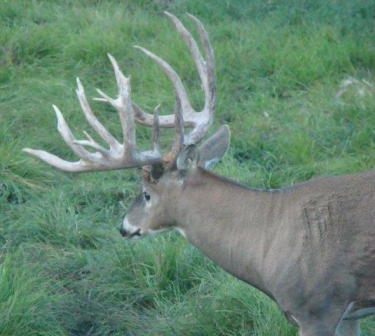 Our elk and whitetail hunts are 4 days long and we offer guaranteed opportunity for a shot. The elk hunts are done mostly spot and stalk , the whitetail hunts are from heated ground blinds. If you want to come to northern Saskatchewan where the horns are massive and they are dark in color from being in the heavy forest.... look no further we offer a hunt that is as close to a natural habitat hunt that you will ever experience, but yet with guaranteed opportunity to harvest the trophy elk or whitetail deer of a lifetime. Our Black Bear hunts are five days long, If free range whitetail hunt is what your looking for, ours is 5.5 days long Our hunt area consists of private ranches bordering the beautiful Beaver River so no worries about outside pressure as we are the only ones allowed to hunt there. We know this will increase your chances of a bigger Bear or a shot at a northern SASK trophy whitetail. At Bighorn Buck Adventures all hunts include guiding, lodging, license's and permits with no trophy fees, we don't believe in them and never will. 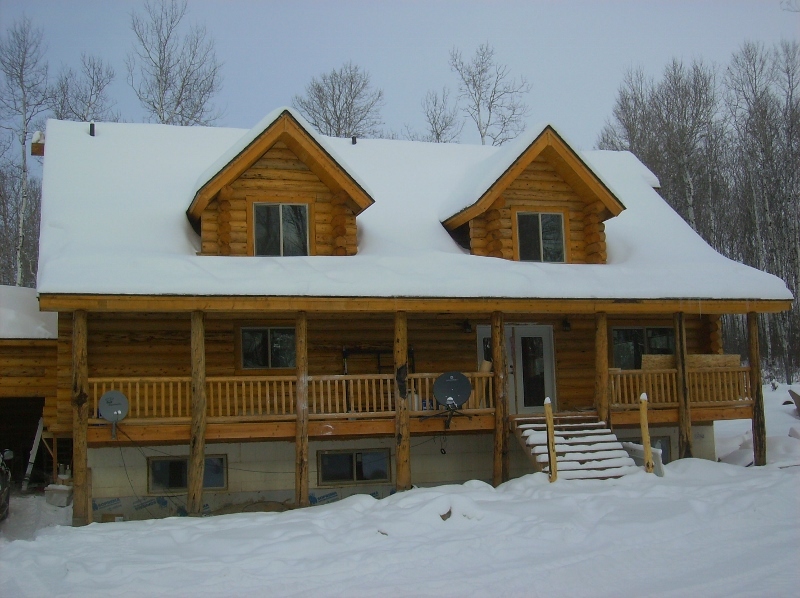 While hunting with Bighorn Buck Adventures you will be staying in our Newly built log Lodge, our lodge has private hunter area downstairs with private bedrooms and semi private bathrooms, while relaxing in the hunter area you can catch up family emails or that last minute job as we have wifi. Our log lodge is nestled in the scenic northern forest setting that you will not find any where else, we offer top notch hunting and top notch lodging, if you are dreaming about a trophy elk and whitetail hunt with the best lodging bar none give us a shout as we live on the ranch 24/7 so we know what is going on at the ranch all days of the year. If you book an Elk hunt with us you can add a fully guided fishing trip on beautiful Cold Lake, where the lake and the fish are huge. 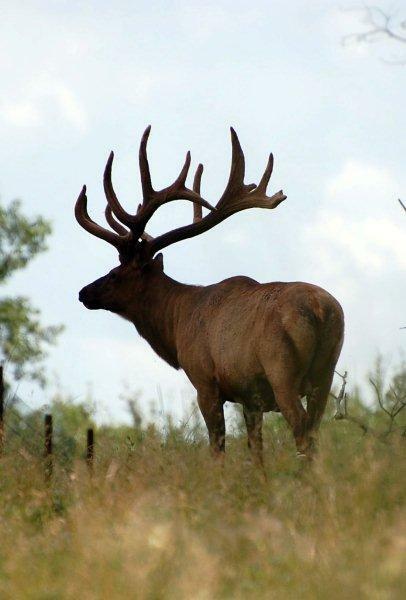 If a 499 -600 class bull elk is what you are dreaming of,gather your best price and call us @306-839-4804 and we will do our best to meet or beat it, we know we can, we are the monster bull specialists!!!!! Take a shot you will be glad you did!! Thank You! and enjoy your visit with Bighorn Buck Adventures. Designed, Maintained & Hosted By : Pace Computer Repair & Solutions (PCRS).